The Pixel 3 and Pixel 3 XL will boast smart AI powered features and improved camera, with unlimited online photo storage until 2022 in Google Photos. 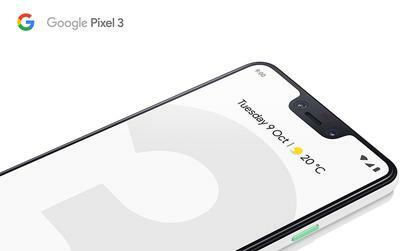 “Following the popularity of the previous Pixel smartphones with our customers, we’re really excited to be launching the Pixel 3 and Pixel 3 XL on Australia’s best mobile network,” said Steve Dance, Telstra Connected Devices and Accessories Principal. The Google Pixel 3 will work with Telstra Messaging. Using Rich Communication Services, Telstra Pixel 3 customers will be able to access a number of new features including group chat, file transfer and location sharing. Customers who take up the Google Pixel 3 64GB on the $99 Mobile Lease Plan with a $0 monthly handset lease payment will receive 30GB of mobile data as well as Peace of Mind Data which is speed capped at 1.5Mps. Customers will also receive a bonus Google Home Mini when they pre-order or purchase the Google Pixel 3 at Telstra before 25 December. For more information on plans and pre-order information, visit https://www.telstra.com.au/mobile-phones/google.